Everyone remembers Haley Greco, except for Haley herself. Home is where the heart is—but it doesn’t seem quite so friendly for Haley Greco. She’s lost her memory and has been accused of murder. How do you fight back when you can’t remember yesterday? 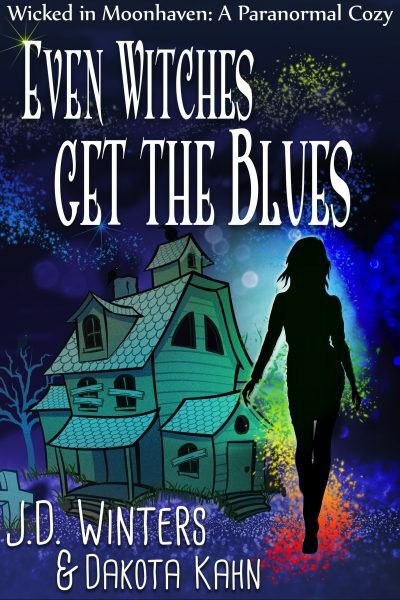 Haley is a witch with amnesia, and she might be the most normal thing in the spooky town of Moonhaven. She wakes up in a strange motel room, no idea who she is, with just the clothes on her back and, weirdly, the deed to a property in Moonhaven where everybody seems to know her. Back for less than a day, she discovers, in no short order, that she has an entire missing family, a town history as a wild child, and a grandmother who seems to want her to prepare to save civilization. Not only that, she's the lead suspect in a murder, and Deputy Sheriff Shane McAllister knows more about her than he should. The real murderer is on the move. Can Haley clear her name and regain her memory before it's too late?